Lately there has been a resurgence in ancient Indian philosophy from a very scientific point of view. Take for instance the myth of Dashaavatar where the 10 incarnations of Lord Vishnu can be viewed within an evolution perspective, as Homo Sapiens moved from Matsya (the fish), Kurma (the amphibious tortoise), through Narshima (half man-half beast), Rama (the ideal Man) and finally to Kalki (the destroyer of beings – resembling Darwin’s struggle for ‘survival of the fittest’). Similarly Vastushastra or the ancient Hindu doctrine of temple architecture is today being used more and more to plan out living spaces. A huge treatise in itself, of which we will only discuss the kitchen in this post. 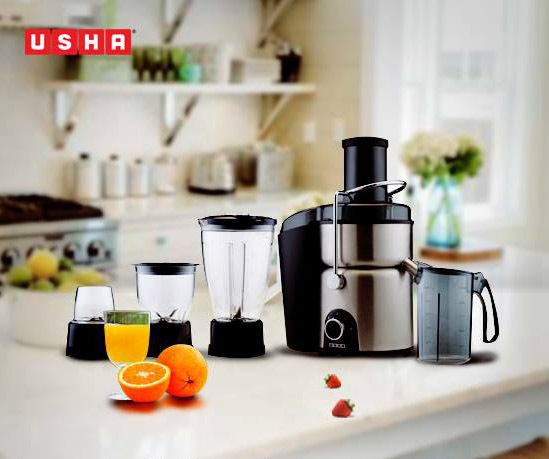 However, even as we take our first baby steps into the world of Kitchen Vastushastra let me warn you that things have changed – people live differently today. And with new lifestyles old ways innovate with style. 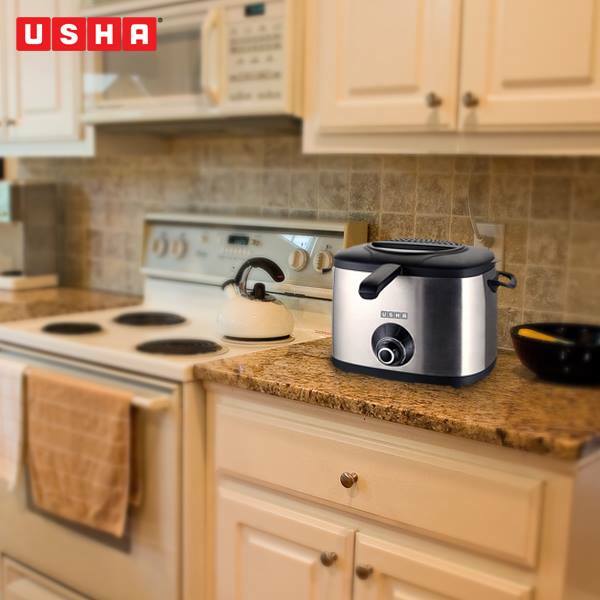 So switch on to a New Life With USHA. Let’s begin with the most basic kitchen appliance, the Cooking Stove / Cooktop. 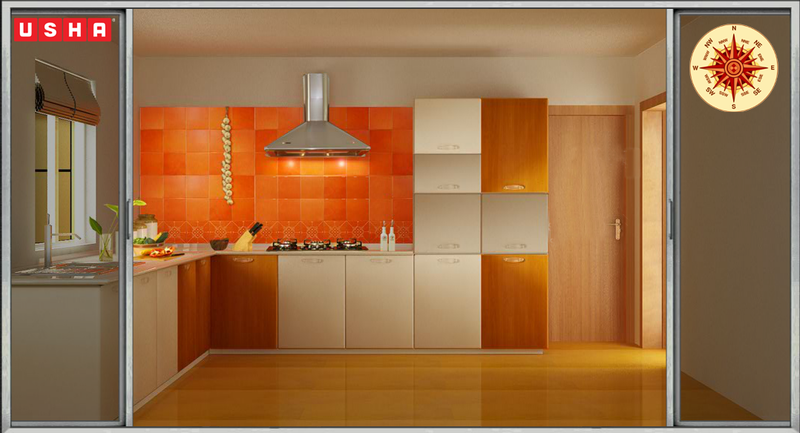 Vastu dictates that it should be at the South-East and shouldn’t be too close to the wall. The former is simple space logic, having a stove at the South-East allows people to store both kitchen utensils and grocery/ingredients along the South and West for easy access. As the ancient laws also dictate that storage units for essential commodities like grains, pulses spices and other non-perishable commodities should be stocked along the South or the West direction. Regions where sunlight wasn’t really necessary – as most ancient kitchens windows were in the East, giving the previous farming communities early access to sunlight. As for the latter reason of avoiding stoves too close to the walls was because during those days most homes were built with combustible materials; and people were just being cautious.However, today with the emergence of Hoods and new building materials this rule has almost become redundant in most urban homes. The ancient Treatise also instructed people to build their kitchen sinks and store their Drinking water towards the North-East of the Kitchen, this was to ensure that the early morning rays killed the germs thereby keeping the water purified. 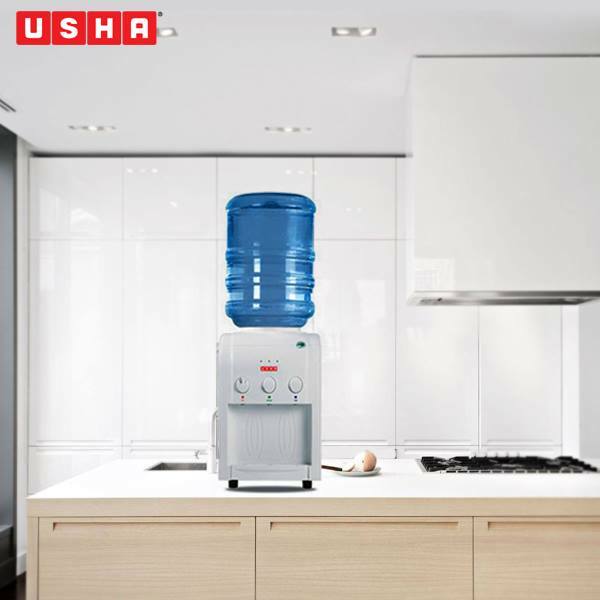 Similarly fruits and other perishable materials were stored by the water for the very same reasons, which today could be replaced as a place for our Juicers. Other Cooking Utensils were to be stored next to or near the cooking stove for convenience, in ancient times it could have meant pots and pans, as they were frequently used. For us it would mean our Ovens and Fryers, which would help us to keep a lookout on things – if we happen to be cooking more than a single dish at a time using various different appliances. 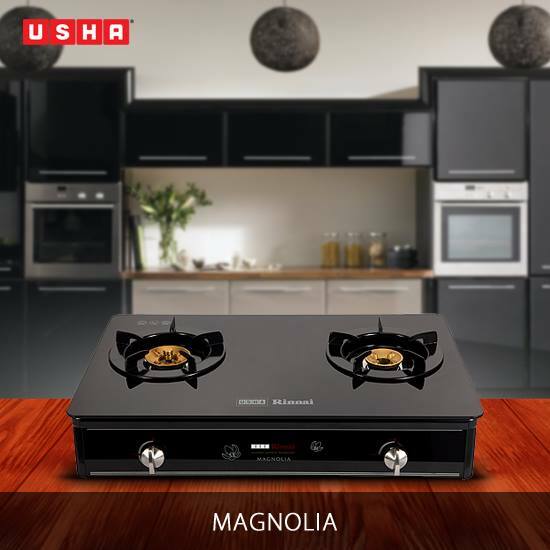 That’s some science titbits behind the glorious art of Vastu, but as we had mentioned earlier, times have changed and with our modern USHA appliances you can place anything, anywhere as you like; as long as you add logic and a little style to it. 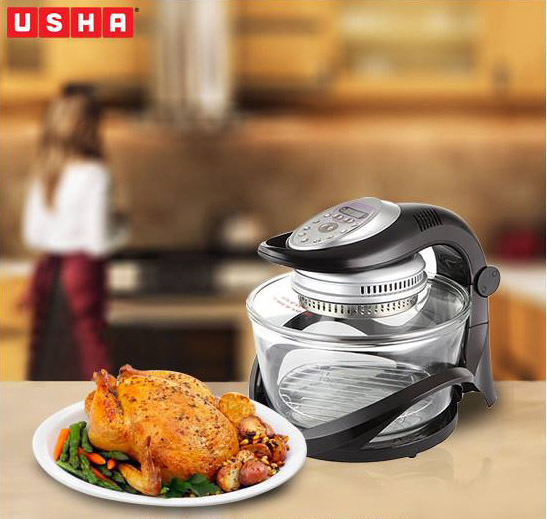 USHA HALOGEN OVEN: Happy Cooking! Thinking of rearranging your kitchen? 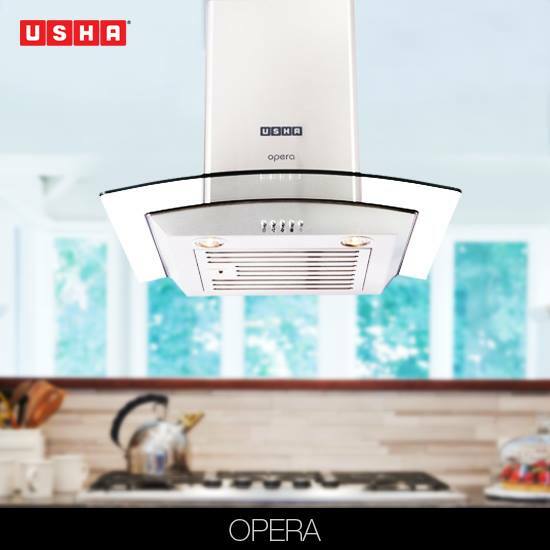 Go ahead and Play with USHA kitchen appliances – Jaw-dropping both in style and the delicious recipes they can cook up. Here is a little secret for you, there is this amazing place in Mumbai called The HAB and another one at Kochi. Short for Haberdashery store , The HAB is perhaps the best Sewing R&D center in the country. But don’t let the dreaded abbreviation ‘R&D’ intimidate you because Research and Development is just one aspect of it. 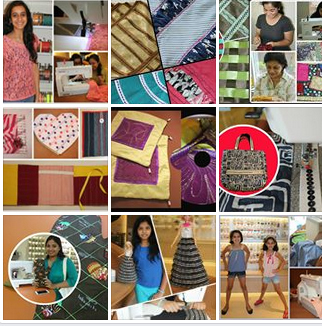 It was primarily set up by Usha to encourage sewing among people . Doesn’t matter whether you are a kid or a mother or a grandmother The HAB has tailored (pun intended) course for about everyone. 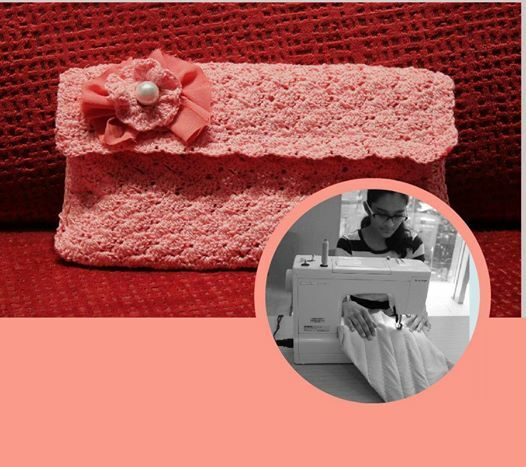 You could start with something as simple as a Bookmark and move up the sewing ladder unto garments and home decor – anything is possible at The HAB. You dream it and we will teach you to weave your dreams into reality. There are also short activities and workshops catering to various occasions from Father’s Day and Monsoon sessions to the upcoming Raksha Bandhan. An expert will take you step by step through these various workshops and activities, helping you create magic out of fabrics. These workshops can last for anything between 30 mins to 6 hours (spread over days if you want it that way). And believe us The HAB is as glamorous as Sewing can get with its eloquent ambiance and highly advanced sewing and embroidery machines.